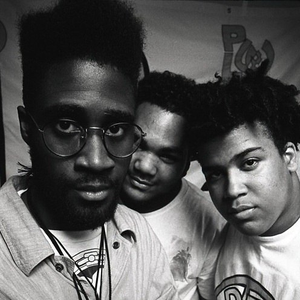 De La Soul is a massively influential hip hop group, hailing from Amityville, New York, United States. They are best known for their eclectic sampling and quirky, surreal lyrics, and their contributions to the evolution of the jazz hop subgenre. They are the best known of the early alternative hip-hop acts. The members are Kelvin Mercer (Posdnuos, Mercenary, Plug Wonder Why, Plug One), David Jude Jolicœur (Trugoy the Dove, Dave, Plug Two) and Vincent Mason (Pasemaster Mase, Maseo, Plug Three).